MIKE TURNER’s financial, mathematical, computer science and engineering background serve as the foundation for his disciplined, rules-based approach to trading. His recommendations are based on solid fundamental, technical and time-cycle based forecasting analytics – and so accurate Bloomberg makes them available on its 330,000 terminals worldwide. 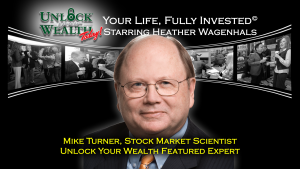 Mike is the founder of TurnerTrends Tools and editor of Signal Investor and Quick Hit Trader.